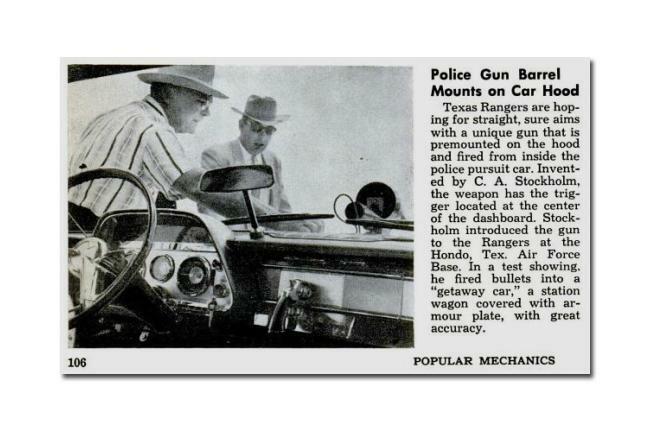 Finding a safe way to stop fleeing cars has been a difficult problem for law enforcement for a long time. Police have tried everything from spike strips to PIT maneuvers to bring fleeing villains to a halt. Now, however, a British company has a slightly more high tech idea: radio waves. The company, known as E2V is working on a system called RF Safe-Stop that projects radio pulses which overwhelm and shutdown engine electronics. The system is in essence a small radar transmitter that uses specific radio frequencies to create an effect similar to an electromagnetic pulse. The BBC reports that in testing the system has been able to shut down slow moving cars and motorcycles at a range of up to 50 meters. It may not be a flying car, but still I am pretty sure this is the 17th sign that we are in fact living in the future. There may be one or two problems with that future, though. For starters, the system doesn’t bring a car immediately to a halt, as the car will coast from whatever speed it’s disabled by the RF Safe-Stop. The bigger problem is that the system interferes with ALL electronics – that means, cell phones, navigation, oh and the electronics controlling the brakes and, you know, the drive by wire steering systems that are becoming increasingly common. That could create some safety issues. On the reverse side of things, any car made before about 1980 might be immune to this thing, because of their analog construction. Unless of course that car was made by the British or the Italians, in which case I am assuming the electrical systems would cut out just from idea of being near the thing. Still, even with those disadvantages, there are some reasons to be optimistic about this technology. All of the alternatives have their own problems. Spike strips can stop motorcycles, but in doing so they also tend to stop the hearts of the people colliding with them. The PIT maneuver generally works. But it can have unpredictable, and, shall we say, ‘unsafe’ results. A quick YouTube search yields a lot of videos showing cars getting stopped with the PIT flipping over and catching fire. That makes for good episodes of “World’s Wildest Police Videos” but helps to explain why most departments don’t use it anymore. So with those as our other options, I am definitely willing to give E2V a shot at figuring this thing out. And, apparently, so are the British Police and the Ministry of Defense. I look forward to bringing you more details.